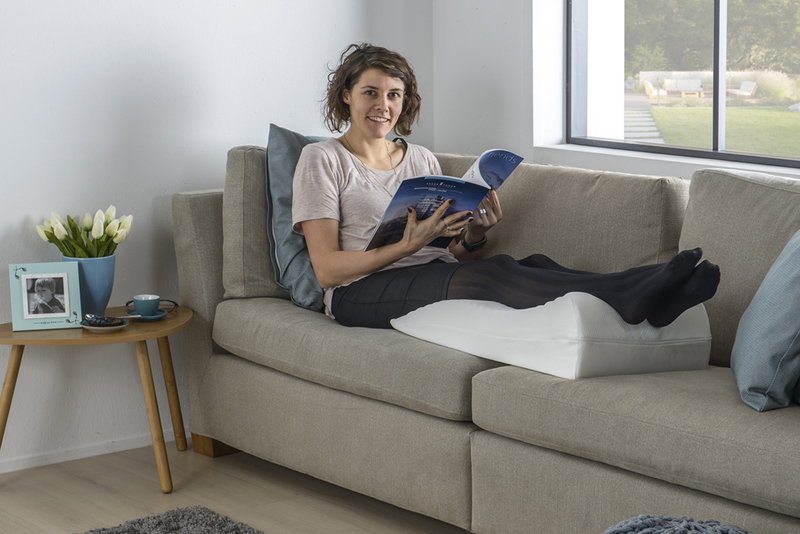 An orthopedic leg cushion gives an ergonomic support to your legs. It stimulates the circulation and is therefore recommended in case of vascular complaints, swollen legs, varicose veins, or cramps in the calf muscles. You will immediately notice: it gives a relaxing and pleasant feeling! The core of this cushion is made of 100% polyurethane foam, cut in a wave profile for better ventilation. The cover in stretch fabric is removable and washable at 40%.